My Diabetic Child: Who's in your top 5? Who's in your top 5? I finally had the chance to sit down and watch The Ugly Truth tonight. It has been a long weekend with the school fundraising auction, science fair project x 2(research papers are due this week), turkey project, girl scout encampment... and all the work that goes with it all. Lots of changes going on aroud here... but thats a whole nother story. So I finally got to sit down and watch a movie. I have been dying to see this movie since it came out. Unfortunately, I was alone in my desire. So I had to wait for the DVD. Anyways, tonight I decided to ditch my responsibilities for a while and watch it. I think my friends missed out on a pretty funny chick flick!! Granted it is definitely not for the young ladies due to some interesting insinuations, but I am by no means to "proper" to laugh at a little adult humor. ESPECIALLY when it comes from Gerard Butler. YUM! There is something about that accent paired with his puppy dog trying to act like a tough guy thing that just... well I will just say it adds him to my top 5. Okay... I actually added Gerard Butler to my top 5 after I watched P.S. I love you. He is the newest addition to my list(It doesn't change often). So who else is in my top 5? Who are the 5 people my husband has no doubt I would run away with if I had a chance? Yes, he knows... he understands... and he has his own top 5. Marky Mark... um I mean Mark Wahlberg. Yep, he's been on my top 5 since the funky bunch... Only back then I didn't know exactly what a top 5 meant :) Either way, still hot! 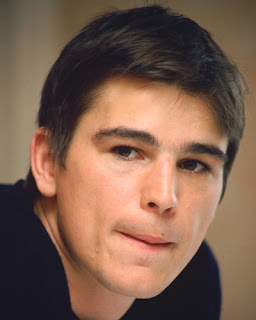 The ever so adorable Josh Hartnett... he snuck his way into my top 5 during Pearl Harbor. 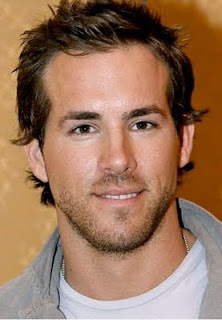 Ryan Reynolds... hello... he's just adorable. And last but not least... let's face it ladies. Even though he was a dirty and Gross... Captain Jack brought Johnny Depp back to the top 5's of a whole lotta ladies. The days of Edward Scissor Hands and Charlie and the chocolate factory have been forgotten. Johnny Depp is back. Who's in your top 5? If the truth were known... I would actually have a top 10. Except I limited. Unfortunately, my husband will only forgive me for my top 5.
okay those are your top 5 to run away with ? LOL !!! Is that what I am reading omg lol !!! wow too funny . God bless you and your family . HAHAHA! Too funny. I don't even have a top 5 anymore. I never get to watch anything. That's it - I'm going to start working on my top 5! I'm pretty sure my husband has a top 10!! Tag Your It... My Turn !!! Things I absolutely DID NOT do this week!